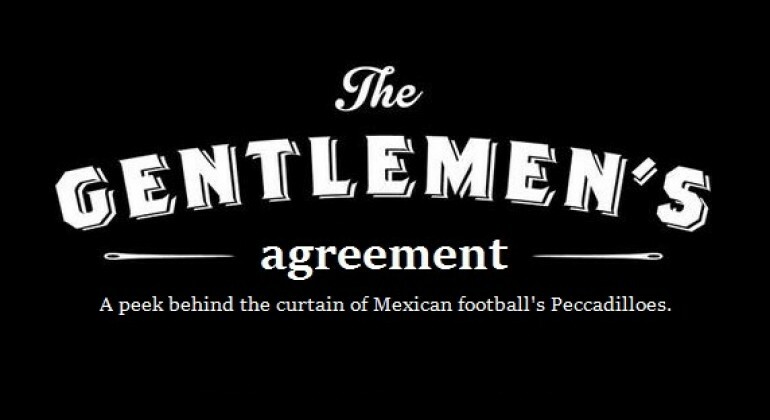 In this installment of the the Gentlemen’s Agreement, CantinaMX podcast host John Jagou and futmexnation contributor Joel E. Aceves talk about the upcoming Liga MX Clausura 2017 season. So, pull up a chair, grab a pint of your favorite drink, and join us for some good old fashioned futbol talk. John Jagou: Joel, Liga MX has an Apertura and a Clausura season. Sandwiched in between this summer has been a 15 game International season. For Mexico fans, it has been wall to wall soccer. And the 17 Apertura is right around the corner. Joely: So many games, so little time. We sure have come a long way from only being able to see one match on tape delay on Sundays. Now, we can even watch games on Face Book! 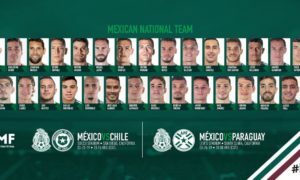 That said, I have been looking forward to the Liga MX season as it is shaping up to be a tourney that will give us plenty to talk about, especially with the off the field dealings. JJ: The draft removes a lot of drama, intrigue, conflict, and backstabbing from the transfer season. That said, there are still plenty of chismes and rumors to chase down. You have piqued my interest. What transfer sagas will you be following? Joely: Well Yon, there really wasn’t any ‘fichajes BOMBA’ in this draft. Most team’s have been cutting back on their spending habits and rightly so given how easily team’s can go broke as we saw last season with the now disenfranchised Jaguares of Chiapas. Perhaps, the most news worthy transfer was Enner Valencia from West Ham to Tigres. The Ecuadorian striker didn’t do too well in the English Premiere League but in Liga MX he could very well be a force to reckon with and might provide the link up play Andre Gignac has been missing since the Felinos sold Brazilian striker Rafael Sobis. JJ: Well, I am not so sure this is not a bomba, but Pachuca did announce the signing of Keiruke Honda, the Japanese international and former AC Milan stand out. And the Club America brass have probably tired of seeing Tigres get all the glory with the big fish they have been able to reel in lately. The rumors in the press box have grown into an expectation that the Dos Santos clan is coming home. America had lately been making more modest moves, but this would fill a need and sell tickets. And the move is more practical than splashy. JJ: Gio’s LA Galaxy has not been well since Arena departed, but I have a hard time believing Club America would pick up his contract. A scenario I can see, though, is Giovani going to Coapa on loan with hopes of getting his level of play up to snuff for a chance to play in Russia next summer. It might be his only chance. I am surprised we have gone this long without mentioning the defending double champs. As we saw last season with both America and Tigres, teams that do not have a full pre-season program tend to struggle. Half of Chivas’ starters are playing Gold Cup, and the other half are injured. El rebaño will take a while to get going. What say you? Will Chivas fans extoll the virtue of patience, or will the Fuera Pelado chorus be at full-throat at mid-season? Joely: Matias Almeyda is easily the most popular Chivas coach of the past 20 years perhaps even longer. It will take more than one bad tourney for the Chiva faithful to turn on the Argentine. Almeyda, however, has lofty goals and if a good enough offer comes along he will take it. Obviously, it will have to be from abroad. Either a national team or mid-table team in Europe. That said, I’m not expecting the best season for Chivas. It shouldn’t matter either. The Club’s goal should be winning the CONCACAF Champions Cup and challenging for the FIFA Clubs World Cup. JJ: His popularity is transcendent. I have noticed more than one Chivas fan sporting the Almeyda mullet. Is that the reason you have been growing your hair long? Joely: Not at all Yon, I’m afraid I can no longer pull off that look. Speaking of which it seems like Piojo might not have the best start at America. His pre-season started off promising and slowly deteriorated with the Aguilas losing the Liga MX Super Copa to modest Queretaro. There’s some criticism over Piojo doing commentating for Univision. JJ: Well, it seems having a coach at the pre-season training might be considered essential to laying a foundation for success. 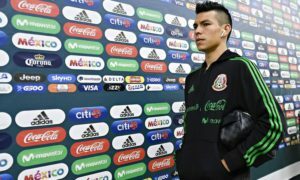 Piojo has never said no to self-promotion, and he no longer has Peláez to keep him in line. Regardless, America still has plenty of horses to keep them in the upper echelon of LigaMX favorites. He was able to bring Guido Rodriguez with him from Tijuana. Not the sexiest transfer, but a player than can control everything about a game. Joely: I still feel America will struggle as Piojo rebuilds the squad to his liking. There werent that many big moves this past transfer window and I feel clubs are comfortable with their teams. It looks to me like another tight race for a top 8 finish with perhaps Tigres running away with the liderato. As for Tigres cross town rivals Monterrey this could very well be Antonio Mohamed’s make it or break it season. A section of the Rayado fans has already turned on the Turk and are expecting nothing less than a league title. JJ: They seemed to remove the two players that caused a majority of the dustups in the locker room. They said goodbye to Aldo, but still have a solid group of players to contend. Tigres is a runaway train that will be hard to stop. But I have a feeling that André-Pierre Gignac will be moving on before the August 31 deadline. It might be the reason they continue to stockpile forwards. Joely: Indeed Yon, usually when the locker room is broken the coach leaves. Monterrey bet on Turco and if he doesn’t deliver I’m sure he will be sacked. Uruguayan international Walter Gargano is still with the club playing in the U-20s by mid season he could be back in the first team. Another coach with the spot light on him is Cruz Azul’s Paco Jemez. The Machine seems broken in many pieces and another bad season will place them in the relegation zone. JJ: Cruz Azul has a way of getting back on track, which is what I expect will happen again this season. Jemez’ return was a good sign. And it would be good for Liga MX to have la maquina well oiled, and humming right along. Joely: Last but not least is new comers Lobos of the Benemérita Universidad Autónoma de Puebla [BUAP]. Their promotion was master minded by Rafa Puente Jr who is the youngest Mexican coach in Liga MX. Puente Jr is used to be an actor in soap operas. He grew up around futbol however with his dad Rafa Puente Sr playing at America and coaching Tecos. He is showing good potential. Not too long ago he had been at Chivas in a GM role. He had even managed to bring former Barcelona youth coach Alberto Bemaiges to the club but their prohect was scraped when the first team’s poor form continued and Jorge Vergara brought back Nestor de la Torre. In any case Yon, I wish the best if luck to Puente Jr.
JJ: I really do hope that Lobos BUAP have a long and healthy life in Liga MX, but it will be very difficult for them to maintain their first division status. 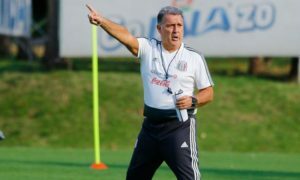 Atlas will be one of the teams they will battle in their race to the bottom, but the rojinegros should, should not spend too much time stuck in the muck. Veracruz on the other hand will have not have that luxury. The latest incarnation of the Red Shark has not added anything to Liga MX other than headaches for the league brass. Not sure anyone will be shedding any tears if the Jarochos dropped again.